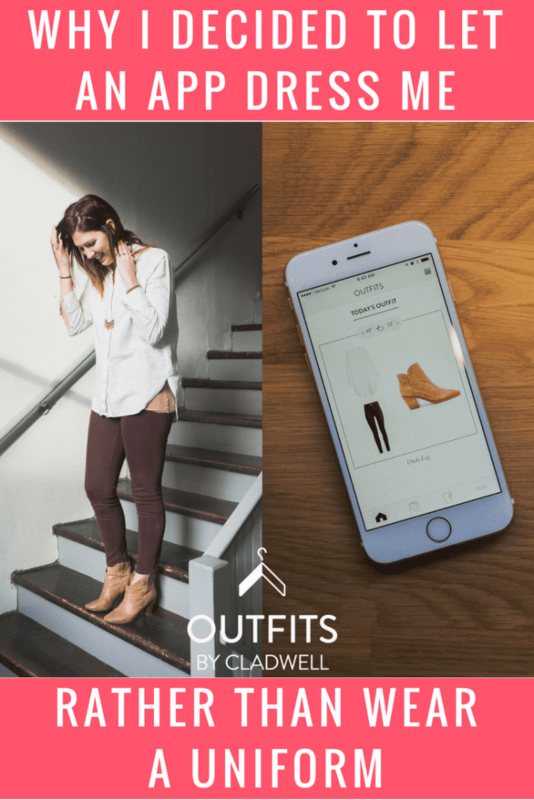 Have you heard of Cladwell, the iOs app that sends you professionally styled outfit recommendations to your phone everyday? Not only does it give you outfit recommendations, but these outfits are based on the clothes already in your closet and that day’s weather. 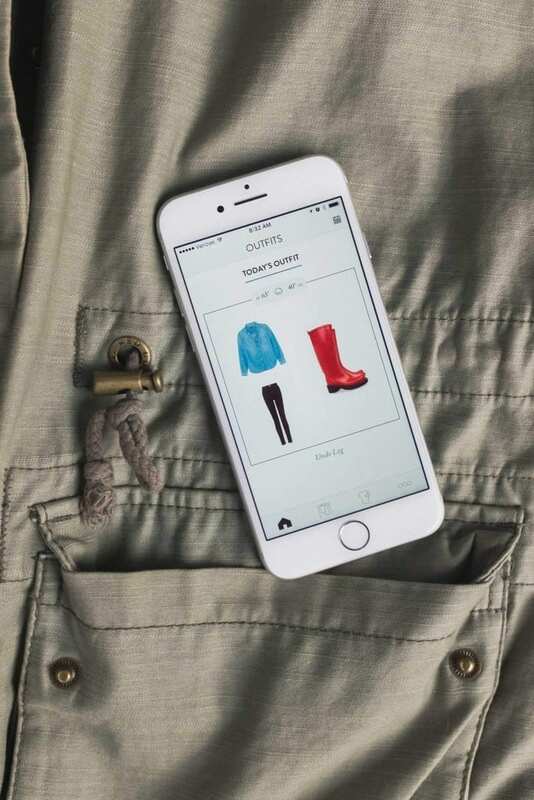 If you’re tired of apps and fashion start-ups that are always trying to get you to buy new clothes, just so you can (hopefully) have a “well-rounded and on trend wardrobe”, then this app is for you. 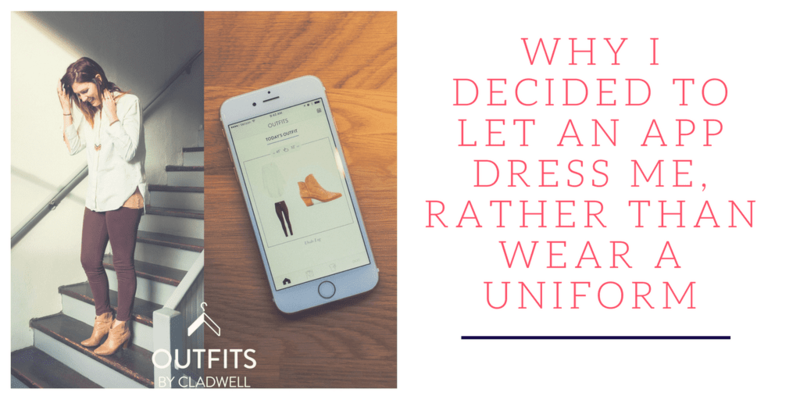 The piece below is a response article from Cladwell CMO Erin, to the viral Harper’s Bazaar article “Why I Wear The Exact Same Thing to Work Everyday”. Around a year ago, I rolled out of bed, opened my closet, began throwing my clothes on the floor and proceeded to try on every outfit I owned. To be honest, this was just a normal start to the day. 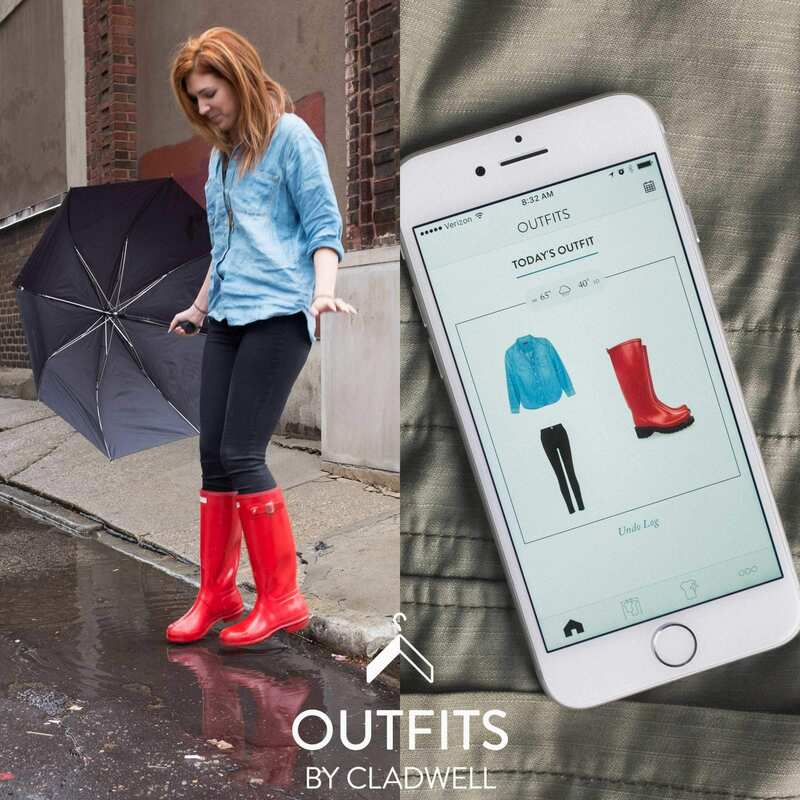 I’m the CMO of Cladwell, a top fashion startup so you would think getting dressed wouldn’t be an issue. But I still struggled figuring out what to wear each morning. Is this outfit still cool? Is this comfortable enough? Will I be cold? Can I wear these things together? 45 minutes later, my room looked as if a tornado had touched down, and I was racing out the door, already regretting the outfit I had chosen. By the time I arrived at work (late again), I was counting the hours until I could go home and put my sweatpants back on. I’d read those articles about how Mark Zuckerberg and Steve Jobs wore the same thing to work everyday. The “work uniform” began to sound dangerously tempting. But, no matter how destroyed my room looked or how much I hated my outfit, the idea of a daily uniform felt restrictive and just not really like me at all. After all, I still wanted to look stylish. I just didn’t want to think about it. Have you ever ordered the exact same thing at a restaurant just because there were too many options on the menu to choose from? That’s how I felt about my closet. I knew I had a problem, but I couldn’t shop my way out of it. Trust me, I had tried. And 450 items later, it didn’t help. As I began to talk more about my styling problems at work, our team actually set out to solve my problem. We weren’t entirely sure how we were going to do this, but 4 months later, the solution came in the form of downloading an app. That was it. I didn’t buy any new items or have to go on a shopping spree. In fact, I simply opened the app and tapped my finger on around 50 or so clothing items that looked similar to the ones I owned. Then, each day I was sent three personally styled outfits from my very own closet. On the days that I already had a favorite item on my mind, I could go into the app and view all the possible outfits this item could create within my closet. Suddenly, I had one less thing to do every morning. I no longer spent countless hours worrying about what to wear. And I definitely wasn’t late for work anymore. To be honest, I was skeptical at first. Could using an app, practically a robot, make me feel any different? Surprisingly, yes. My friends had a lot questions when I started telling them about the app before we publicly launched. Immediately, they assumed I was forced to use the app. I get it. But, trust me, I didn’t use it because I worked for Cladwell. I used it because Cladwell was quite literally built for me, in hopes there were other women out there facing the same demonic closet. By far the most common question I still get, is does it really work? Can technology actually dress you? To which my answer is, “Have you ever wanted to have a personal stylist?” It’s not technology that made up the outfit suggestions; it’s the real live stylists behind the app. The technology just helped bring these outfits to millions of people instead of a single person who can afford to hire Rachel Zoe. Our closets are full of clothes that we no longer (or never did) like. The truth is, all that clutter is there for a reason. We are all encouraged on a regular basis to buy this, buy that, buy this for that cheap price. Whether we consciously know it or not, this increasingly fast sales cycle has an impact on us. It creates clutter in homes, hearts, and minds. I used to only wear around 20% of my clothing. Pretty much the same outfits, over and over. 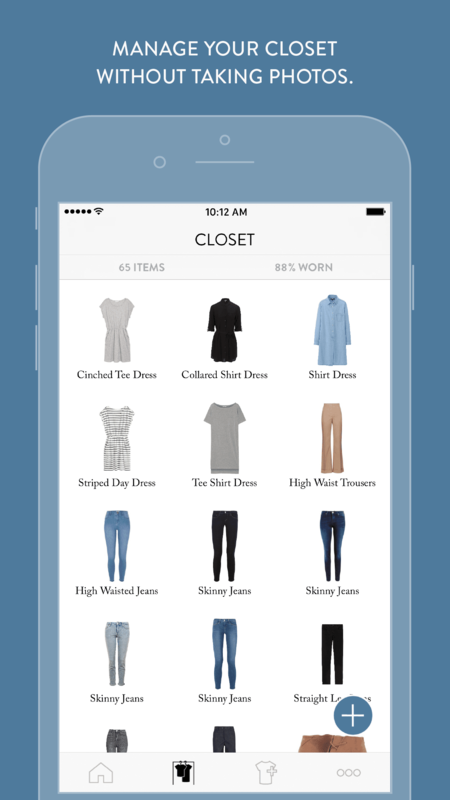 Now, in the app, I can track to see if I’m wearing 100% of the clothes in my closet. If I find that after 60 days I’m not wearing a certain item, I donate it. Gone are the days of impulse-buys that still have the tag. It’s my style, my clothes, my time back. The best part is that I no longer to have to worry about creating outfits, I just get to choose them. There’s freedom in that. Having an app dress me is a daily reminder that I am in control of my closet. Not the other way around.